Our first, welcome gardenia bloomed. Pretty flower, with it's spiced perfume, and as though it weren't lovely enough, it looks just like a heart of petals. Something obliges me to say more, to explain why such a thing would make me feel thankful, renewed, but I think you probably understand, and appreciate it. We don't need to say more, only take heart. 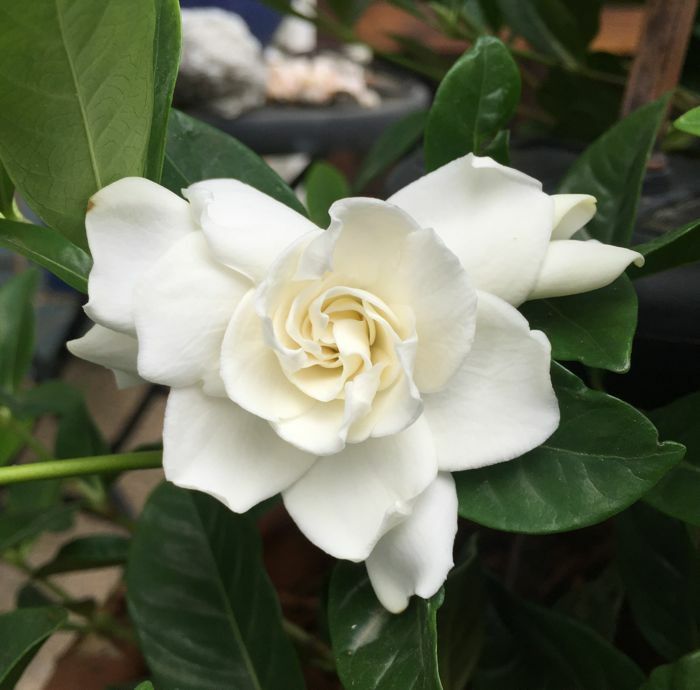 Gardenias are special - their petals are the very definition of "creamy white" in my humble opinion. They feel creamy too, and smell so good. Yes, yes. You are so right. They are making me more mindful... can't just come home, and go directly inside.